Founded in late 2016, Global Business Creation is a Finnish-Chinese Social Enterprise and Stratups Development Studio based in Shanghai. 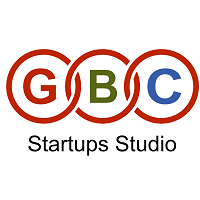 GBC as a Startups Studio (GBC Funded Startups ) , follows the philosophy of building and developing its own ideas and make them into products and ultimately sub-owned companies ready for market launch. Focusing mostly but not only on Media products and S.A.S. (Software as a Service) platforms, the process of development of all ideas is based on building the right, dedicated team to take care of each project, with the support of the in-house team of GBC and its vast network of connections and partners.